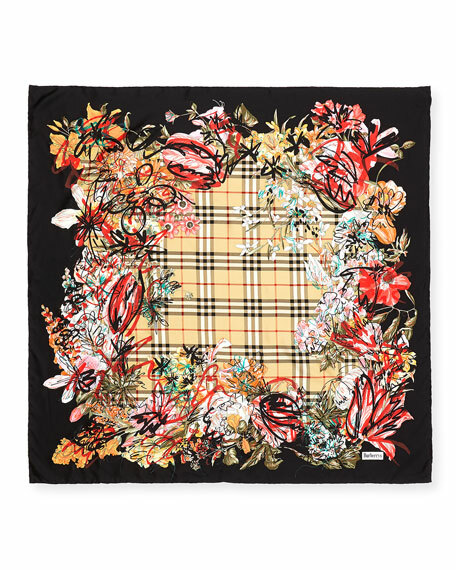 Burberry vintage check scarf framed with floral and scribble pattern. Solid border; finished, rolled edges. For in-store inquiries, use sku #2604062.